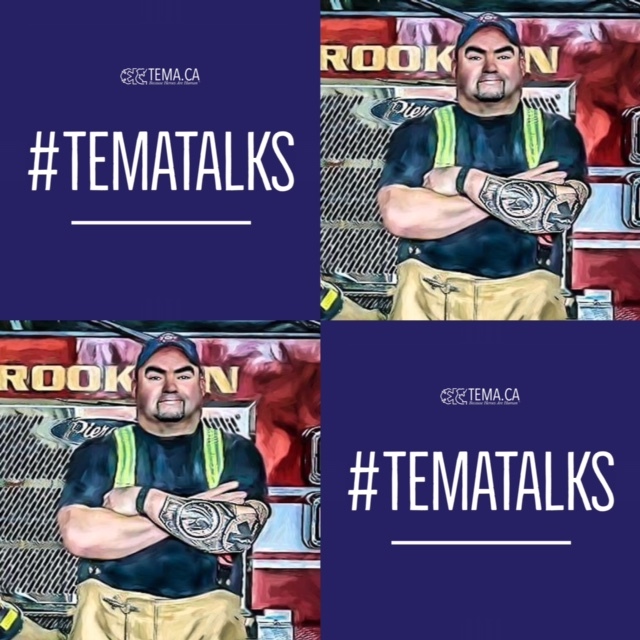 Mental Health News Radio Network, the world’s largest podcast network dedicated exclusively to mental health content, is now hosting TemaTalks, formerly UpTalk, with veteran paramedic, volunteer firefighter and mental health advocate Sean Conohan. TemaTalks focuses on PTSD, first responder mental illness and health, and aims to provide hope, inclusion and resources to first responders experiencing mental health problems. TemaTalks also raises awareness about the Tema Conter Memorial Trust, Canada’s leading provider of peer support, family assistance, education and training for emergency services, public safety, military personnel, and their families. Conohan’s own journey was the catalyst that prompted him to start TemaTalks; he developed job-related PTSD and received funding from the Trust to attend specialized therapy, which he credits as lifesaving. There are a ton of people looking for information, support, and a feeling of inclusion. I hope that the podcast continues to be a safe place of education and sharing for anyone that wants to listen! Drawing on Conohan’s personal experience, TemaTalks features clinical experts and guests who share their own recovery stories. At the end of each episode, guests share a personal message to listeners struggling with their mental health. To date, over 30 episodes have aired. Recent interviewees include firefighter Chris Fields, who responded to the Oklahoma City Bombing, and peer support specialist Syd Gravel. TemaTalks furthers the mission of Mental Health News Radio Network, to reduce stigma about mental health through advocacy, education and dialogue. Through open conversations about first responder mental health, the podcast encourages listeners to reach out for help and keep fighting. Mental Health News Radio Network hosts over 30 podcasts covering all aspects of mental and behavioral health and well being. Its mission is to combat mental health stigma through advocacy, education and dialogue. MHNR Network podcasters run the gamut from leading mental health professionals and coaches to peer specialists and addiction recovery advocates. To date, MHNR Network has aired over 1,000 episodes and has listeners in over 170 countries. It is the world’s largest podcast network dedicated solely to mental health and well-being content.